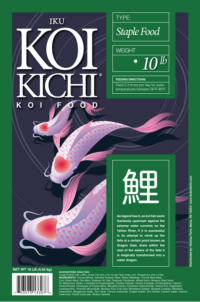 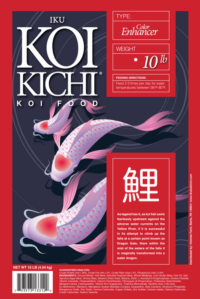 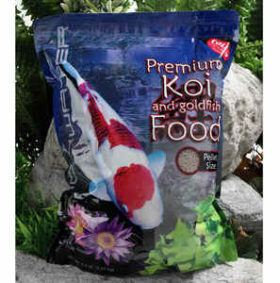 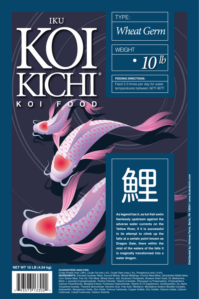 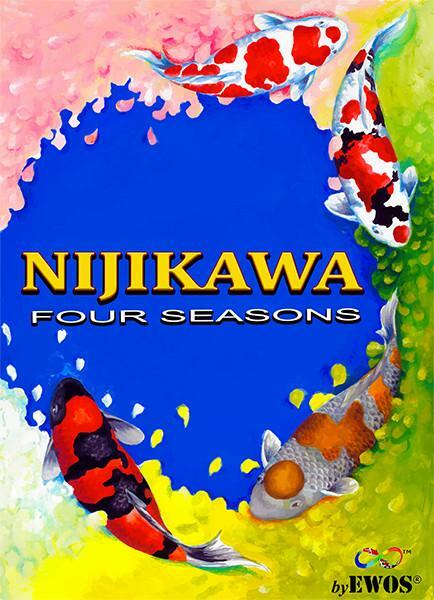 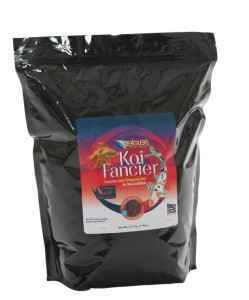 Nijikawa Four Season Koi Food is formulated to sustain your koi’s health, color and growth throughout the feeding season with minimal waste at a fraction of the cost of competing high end koi feeds. 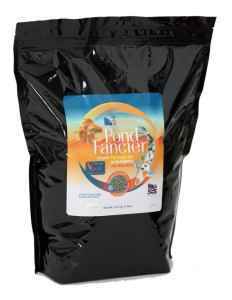 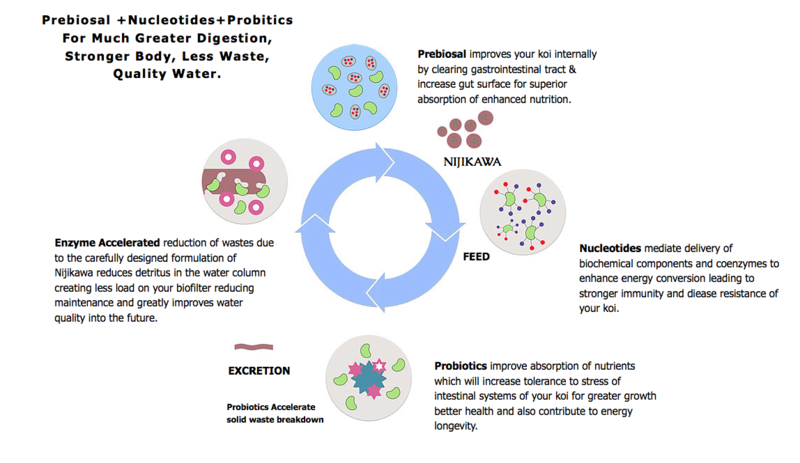 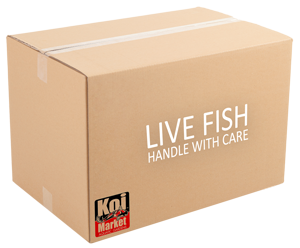 It’s Non GMO, Optimized for Ornamental pond koi and designed with Probiotics to clear your koi’s intestines for optimal absorption. 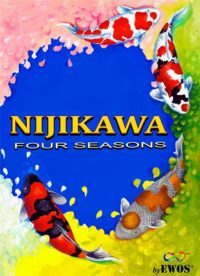 Give your koi what they need to thrive, Nijikawa! 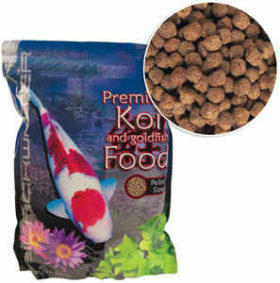 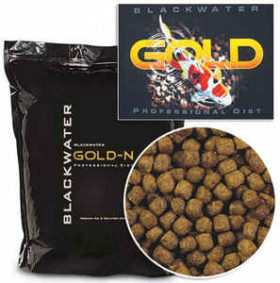 Ingredients: Wheat, Peas, Fish Meal, Meat Meal, Poultry Meal, Pea Protein Concentrate, Feather Meal, Fish Oil, Canola Seeds, Canola Oil, Blood Meal, Nucleotides, Dried Yeast, Vitamin Premix (L-Ascorbyl-2-Polyphosphate, Vtamin E Supplement, Menadione Sodium Bisulfite Complex, Calcium Pantothenate, Biotin, Riboflavin Supplement, Pyridoxine Hydrochloride, Vitamin D3 Supplement, Folic Acid, Vitamin B12 Supplement, Vitamin A Supplement, Thiamine Mononitrate), Mineral Premix (Calcium Carbonate Flour, Magnesium Oxide, Ferrous Sulfate, Zinc Sulfate, Manganese Sulfate, Sodium Selenite, Copper Sulfate, Calcium Iodate, Cobalt carbonate), L-Lysine Monohydrochloride, DL-Methionine, L-Threonine, Calcium Propionate, Ascorbic acid and Astaxanthin.